2) Put a block of wood or something behind the rear tires to keep the car from moving while you jack up the front part. 3) Jack up the front part of the car up until there's enough room to remove the tires, do the same on the rear. 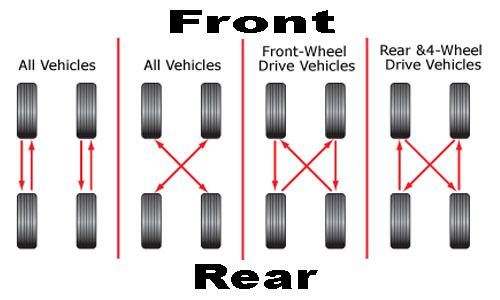 4) Now the "X" FWD rotation is to move the driver side front tire to the rear, then the driver side rear tire to the passenger side front. Next move the passenger side front tire to the rear, then move the passenger side rear tire to the driver side front, making it look like an X just like the picture illustrated for FWD. You can also see from the diagram other types of rotation choose which suites your car. 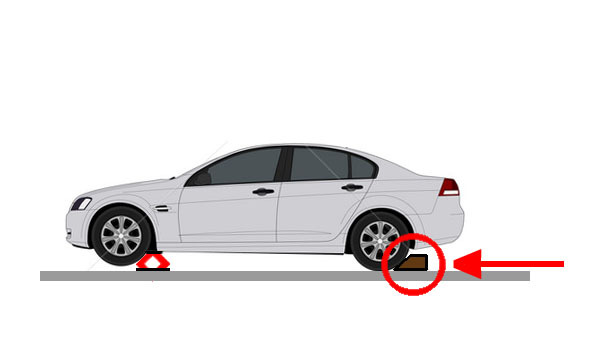 6) Lower the rear first, then place the block of wood or object behind the rear tire to prevent the car from moving. 7) Then lower the front part, after the car is planted firmly on the ground tighten the nuts of each tire again, this time tighten it completely. 8) Now you're ready to hit the road and enjoy an even wear of tires. 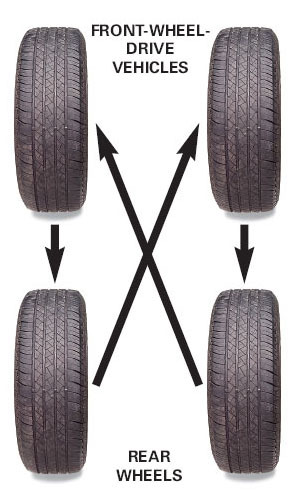 Tires should be rotated every 5,000 km to achieve an even wear. good luck and drive safely!